We make pool ownership effortless. Our staff strives to provide excellent customer service on every call. No Contracts! Chemicals are included in our price! Our staff is up-to-date on new products and technological innovations in the industry. With Executive Pool Care providing quality care you can rest assured that your investment is protected. We have built a reputation for dependability, responsiveness and trustworthiness. Executive Pool Care does the work for you by maintaining the pool and the equipment for proper operation. Executive Pool Care’s technicians are fully trained in pool water chemistry. Because a pool is meant to be enjoyed. We love not having to worry about our pool chemicals and equipment - we can just go out to our pool and enjoy the water! Worry free in summer and winter! Owner is easy to reach by phone. Very professional and personable! Love having this service! Went from GREEN to CLEAN in days, not weeks, without draining!!!! Great people so, I now have them servicing our pool weekly. Our Team of Experts will Help you out! Our team of highly skilled technicians bring a wealth of experience and expertise to every job. No job is too big or too small. We do it all from regular families down to celebrities! Executive Pool Care, Inc. is a family owned and operated Fayette county business Proudly Serving the Peachtree City, Fayetteville, Newnan, Sharpsburg, Brooks, Senoia, Hampton, Tyrone, Stockbridge, McDonough, Jonesboro, Palmetto, and Fairburn, Georgia areas. Our owner, Mark Smith, has a wealth of information and resources at his disposal from years of technical service within the swimming pool industry and other industries as well. We are your year round residential and commercial swimming pool repair, weekly service, maintenance, in-ground vinyl liner, safety cover, heater, renovation, construction, and salt system specialists. Executive Pool Care Inc. is fully licensed and insured by a 2 million General Liability insurance policy and all workers are covered by Workman’s Compensation Insurance. 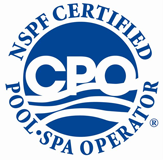 We are also a Certified Pool and Spa Operator (CPO) by the National Swimming Pool Foundation.